Laser or mechanical engraving : which system should I choose for engraving metal? Choose your equipment according to the engraving depth : surface or deep? A laser engraving machine will allow you to obtain a shallow cut or surface mark. A mechanical engraving machine makes it possible to engrave metal more deeply, your engraving will be more durable over time. A CNC engraver is more versatile : it allows you to engrave, cut and drill metal. It will be able to engrave text, geometric shapes and vectorised logos. 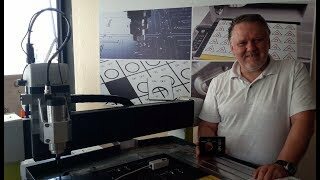 A laser engraver makes it possible to produce more complex engravings such as logos, high-resolution photos, QR Codes, UDI, barcode, and images without the need to vectorise them. Less digital preparation is required with laser systems. However, you will not able to cut or drill with this technology. 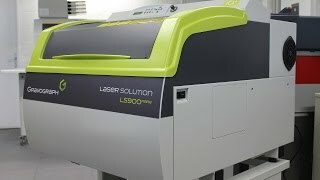 If you want to produce your engravings quickly, opt for laser technology. Why choose engraving instead of printing on metal, silkscreen or inkjet ? Regardless of the engraving technology chosen (mechanical or laser), the huge advantage of these systems is the ability to produce engravings instantly, either individually or in small or large quantities. Why choose a Gravograph solution? The user friendliness of Gravograph equipment is their strength! Everything has been considered to make engraving easier and more efficient, from programming the machine to positioning the work to be engraved. Gravograph is the only manufacturer to offer the full choice of engraving technology; mechanical and laser. Our expert engraving consultants will guide you to the optimal technology. 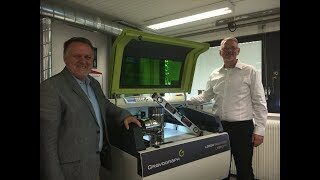 The Gravograph experience is obvious in our manufacturing facilities. Indeed, Gravograph cultivates the skills and knowledge to supply machines of the highest quality and finish level. With Gravograph, you can rest assured that your equipment has been built to last.